When you have ADHD driving can be dangerous. I was reminded of this today as I was driving home from the store. A car two cars in front of me had those televisions installed for the kids in the back seat. It looked like they were on but not showing anything so all I saw was a glowing screen. Have you ever been behind one of those, especially when a movie is on? It can be way distracting, especially for us. Teens are especially at risk behind the wheel. They lack driving experience and their ADHD makes them easily distracted and prone to risk taking and impulsive behavior. If you have a teen getting ready to drive, you may want to consider either adding extra driving experience via a driving program or delaying the age at which they get their license. Also take maturity into consideration. Even adults with ADHD can be affected by their symptoms while driving. You may be lost in thought and miss a turn or end up someplace you didn’t intend to go. You might be distracted by something and end up in an accident. There are so many things that can happen with driving and ADHD. Are your symptoms especially bad today? Are you sleepy, worried or stressed about something or otherwise preoccupied mentally? Are you late or in a hurry? Are you going someplace you’ve never been before? Do you have passengers who might distract you? If any of these things are present, you need to be especially careful while driving. Also, don’t talk on your phone while driving and certainly DO NOT text! Finally, if you find yourself having a close call – almost rear ending someone or some other sort of almost accident – recognize that your symptoms are interfering with your driving skills. Eliminate as many distractions as you can – turn off the cell and the radio, ask your passengers to try and stay quiet, ask someone else to drive – whatever you have to do to arrive safe and sound. I am an ADHD Expert, Coach, and Consultant. I want you to learn how to celebrate your life with ADHD too. Sooo true! The reason I got tested for ADD years ago was because I had 3 car accidents in 2 months. I start daydreaming while I’m driving. I can’t hold a conversation while I’m driving either. If I get too caught up in my thoughts I go on autopilot. I daydream when I drive too! Sometimes I come close to rear ending someone or end up someplace I didn’t intend to go. Once I would have forgotten to pick up my youngest from daycare if her sister hadn’t noticed I was driving right past it! 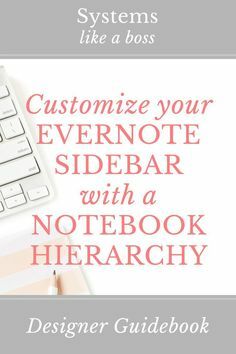 Creating a hierarchy in your Evernote sidebar is essential to organizing stacks and notebooks. Learn how I use naming conventions to outsmart the alphabet as well as how to create an Evernote Inbox and Evernote Archive. Click to read more! 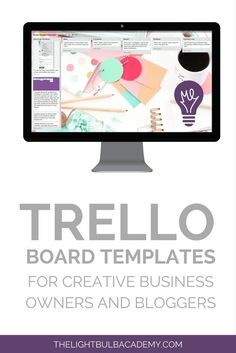 Here are eight Trello board templates to help you organise your creative business and/or blog. The board templates are: Business Base Camp Business Goals Client Board Content Calendar Learning Meal Planning Online Course Planning Tasks Your purchase includes access to all 8 board templates plus a comprehensive tutorial video.